When it comes to body hair, it’s the white elephant in the room that no one wants to acknowledge! I don’t know why, but we all deal with it and never share our struggles with it. For some of us (ahem Armenian girls), it’s a daily struggle. I have genetics to thank for my naturally long and full lashes as well as my thick textured hair, but I was also blessed with thick, dark body hair that has embarrassed me from my elementary school days. Shaving is not an option since it leaves my skin with red bumps and stubble after a day. I started using Parissa Warm Wax earlier this year and I’m in love with my skin (and lack of hair). I converted to Parissa’s warm wax since it provides long term results (almost 4 weeks of no hair) since it removes hair from the root and discourages re-growth. I noticed less growth on my legs after just 3 wax treatments and it’s been such an easy hair removal option over the summer since I’m bikini ready the very next day with zero irritation. You may be freaked out to try waxing at home, but you shouldn’t be! Parissa Warm Wax is very easy to use and I was able to get the technique down on my first try. I warm the wax on the Parissa Wax Warmer and after about 20 minutes it’s ready to use. Using a wood stick, apply a thin layer in the direction of hair growth, then press on fabric strips and pull away. I use the Azulene oil to remove any excess wax and to soothe my skin. That’s it! I just repeat until I’ve removed all the hair from my legs. 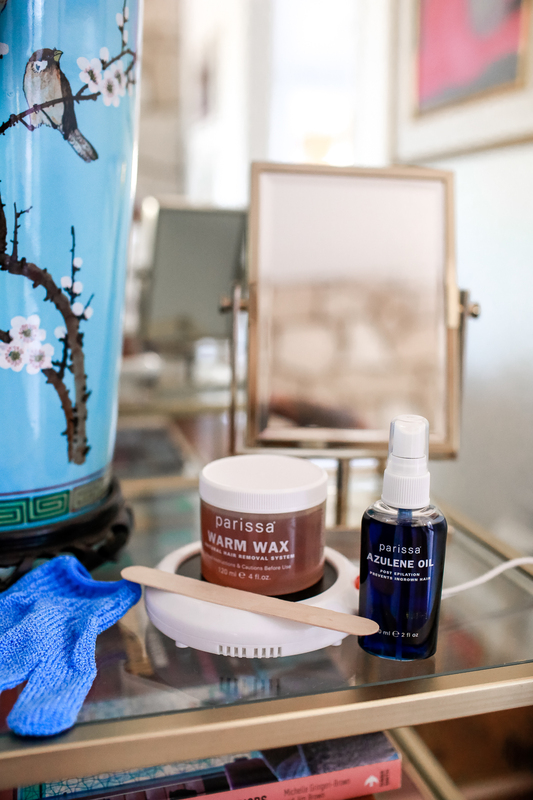 The reason I prefer Parissa Warm Wax is it’s vegan friendly wax using high-quality organic and natural ingredients which is a must in all of my beauty and skincare products. I love products that are effective but also meet my “clean beauty” check.